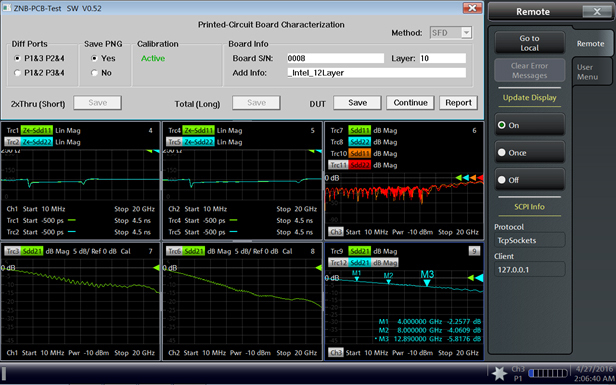 With constant increase in PCB data rate, transmission-line loss becomes important in determining a good or bad PCB. Traditional TDR measurements cannot provide sufficient information of the transmission-line loss. 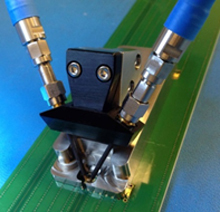 Engineers should consider using a VNA and a de-embedding technique for PCB characterization. 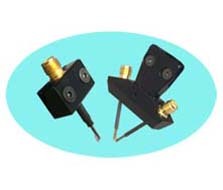 Use a test probe assembly with mechanical guide pins. 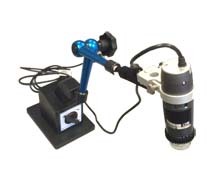 This approach offers fast test time and excellent measurement accuracy. Choose a VNA with integrated de-embedding tool to acquire and display real-time transmission-line SnP data. 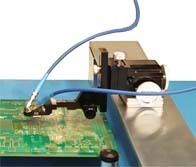 Use test probes instead of RF connectors to reduce PCB test time. Design a good probe launch to match the test probes. For example, a probe launch pattern recommended by Intel can accommodate different test probes. 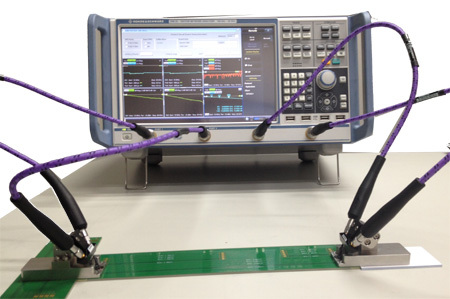 An R&S ZNB20 VNA and two handheld D-Probes are used to test a 20 GHz PCB. An integrated R&S ZNB20 VNA de-embedding application offers fast real-time measurements and extraction of transmission-line loss.